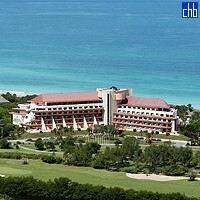 The all-inclusive Hotel Cubanacan Bella Costa (formerly Breezes Bella Costa hotel) is located opposite the popular, long, fine sandy Varadero beach, around 5 km from the centre of Varadero. The resort consists of a main building and bungalows, and has a lobby with lobby bar open 24 hours, 3 a la carte restaurants and Jimmy’s Buffet, a more casual restaurant. 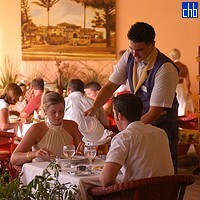 In the well-kept tropical gardens there is a large pool area with sun terrace, pool bar and beach club. At Bella Costa Hotel, an international entertainment team organizes a variety of activities during the day and in the evening. Youngest guests can get to know one another in Lucy´s Mini Club (age 4-12). 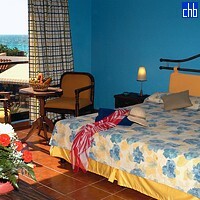 Most of the rooms at Bella Costa have a wide variety of scenic views. All bedrooms are air conditioned, most with balcony or patio and all equipped with satellite and national television, telephone, iron and ironing board, DVD player, coffee maker, mini refrigerators, hair dryer, private bath and shower, safety deposit box. Amongst the sports available at this all-inclusive resort are table tennis, tennis, aerobics, volleyball, billiards, dance classes. There is also a well-equipped Fitness Centre which offers classes, personal trainer and message services. Also (subject to availability) catamaran-sailing, snorkelling and windsurfing. 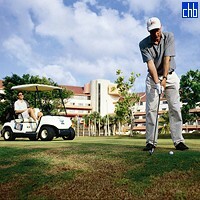 Golf course of Varadero is at 1 km distance. 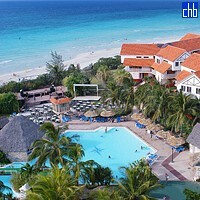 Family Bungalow Suites at Hotel Bella Costa are designed for families. The minimum capacity is 4 guests and the maximum is 6.